For those who work with trauma or have spent time healing their own trauma, Dr. Peter Levine - founder of Somatic Experiencing - is likely to be a well-known figure. Apparently, some people in the Integral world have discovered him and his work - Terry Patton and Marilyn Hamilton. 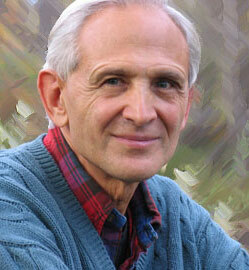 Peter Levine is author of Waking the Tiger: Healing Trauma: The Innate Capacity to Transform Overwhelming Experiences, Trauma Through a Child's Eyes: Awakening the Ordinary Miracle of Healing, and In an Unspoken Voice: How the Body Releases Trauma and Restores Goodness, among many other fine books and audio programs (see Sounds True). Patton recently interviewed Levine - the introduction is below, followed by the podcast. At the bottom, Marilyn Hamilton applies some of Levine's ideas to her "Integral City" model. In studying wild animals, Peter realized that “we must possess the same abilities to rebound from trauma as these animals. So, much of [his] work has been coaching clients to trust those animal instincts.” Rather than denying or suppressing them as Freud would have us do, Peter believes there is something much wiser that can come from opening to the sensations and impulses that arise out of our instincts. We can be with these “creature” reactions of fight, flight and freeze without becoming the rage, the fear, or the shock; this allows us to integrate, discharge tension, and grow. Ed and Deb Shapiro - What Are You Grateful For?